Valdosta, April 3, 2017 — On March 27, 2017, the Lowndes County Democratic Committee (LCDC) approved a new resolution against Sabal Trail methane pipeline and for solar power, going beyond the old ones it passed in March 2014, this time calling for financial divestment from companies that support the pipeline, including calling on local and state elected officials to divest and not to accept any campaign finance funds from the same. The new LCDC resolution includes a quote agreeing that Sabal Trail is a threat to our drinking water in the Florida Aquifer, from a resolution of February 2017 by the Orange County, Florida Democratic Executive Committee (DEC); several other Florida county DECs have since also passed such resolutions. The LCDC WHEREASes cite economics, damage Sabal Trail has already caused to our environment including Withlacoochee River, eminent domain for private company is not equal justice under the law, public safety and welfare, the lack of need for the pipeline now that Florida Power and Light has admitted Florida needs no new electricity until 2024, the economic victory of solar power, Floridians’ vote last year for solar power, and education, since Sabal Trail goes barely a mile from Clyattville Elementary School in Lowndes County. This resolution will be discussed 6PM tonight at the Lowndes County Democratic Party (LCDP) at Mama Junes restaurant in Valdosta, along with new signs to Support Our Teachers. This entry was posted in Economy, Education, Elections, Environment, GA Legislature, Lowndes County Board of Commissioners, Pipeline, Solar, Valdosta City Council and tagged Chair, Education, Elections, Georgia, Gretchen Quarterman, J.D. 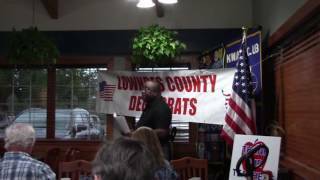 Rice, LCDP, Lowndes County, Lowndes County Democratic Party, Pipeline, plan, platform, resolution, solar, transportation, Valdosta on April 3, 2017 by lowndesdems. 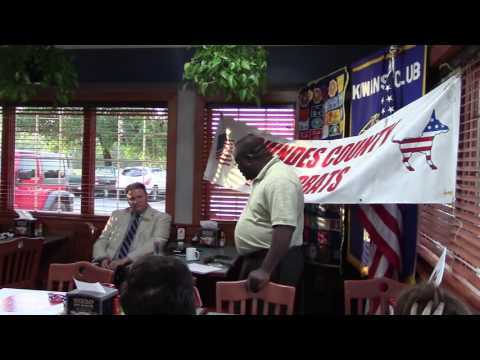 The Lowndes County Democratic Committee (LCDC) met at the end of March and voted to approve our project “Thank Our Teachers”. The final teacher graphic (not the one shown below) will be distributed Monday and LCDP members will be asked to get it out to the community. The LCDC (essentially the board of directors for the LCDP) also formalized subcommittees on Education, Environment, Public Relations, and Finance. Please come, get involved on one of these subcommittees and make a difference in our community. And the LCDC approved a new resolution; a press release on that will go out Monday. This entry was posted in Education, Elections, Transportation and tagged Chair, Education, Elections, Georgia, Gretchen Quarterman, J.D. 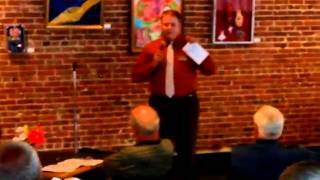 Rice, LCDP, Lowndes County, Lowndes County Democratic Party, Pipeline, plan, platform, solar, transportation, Valdosta on April 2, 2017 by lowndesdems. Lowndes County apparently didn’t tell the reporter about the mercury-contaminated closed Clyattville landfill through which the The Lowndes Commission votes tonight for a Sabal Trail pipeline easement, according to the front page of the Valdosta Daily Times this morning and yesterday morning’s Work Session. Yet the county did not mention in either of those that the easement is to go through the mercury-contaminated closed Clyattville landfill in a Floridan Aquifer recharge zone. Is a one-time payment of $54,300 enough to risk ongoing hazards to our only source of drinking water, plus facilitating a pipeline company from Houston, Texas taking easements from local property owners? If you don’t think so, please write to commissioner@lowndescounty.com before 5:30 PM tonight, and also come to the meeting if you can. But you won’t get to speak before they vote, so write first. 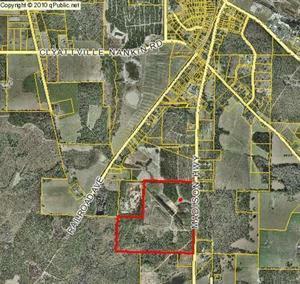 This entry was posted in Economy, Environment, Pipeline, Solar and tagged Chair, Enviroment, Environment, Georgia, Gretchen Quarterman, landfill, LCDP, Lowndes County, Lowndes County Commission, Lowndes County Democratic Party, mercury, Pipeline, property rights, Sabal Trail Transmission, solar, Spectra Energy, Tom Hochschild, Valdosta, Water on January 26, 2016 by John Quarterman.